Hearings are under way today in Northampton, Crawley, Wandsworth and Colchester. I can’t see the Crawley one being very interesting, but there are still plenty of issues to discuss in London and Essex, and the main issue in Northamptonshire is which bit of the county to combine with a part of Leicestershire: Daventry, Corby or the east. Labour’s Greg Cook offered no counter-proposals because even though the Yorkshire proposals are plainly ridiculous, he thinks they will deliver Labour an extra MP. (The Tory party’s position vis-a-vis Nottinghamshire was essentially the same.) Hopefully, come the next election, local people will punish the main parties for this attitude. Interesting to hear Greg Mulholland attacking his coalition partners for framing the law to give themselves a political advantage, and Fabian Hamilton attacking his own party for its short-sightedness. A bit further east, a surprising report from Hedon, where the town council has decided not to get involved in the boundary consultation, despite the Commission’s intention to move the town into Hull East. Apparently the council decided the matter was “too political” to be involved in. Idiots. did Greg Mullholland vote against the proposals then ? 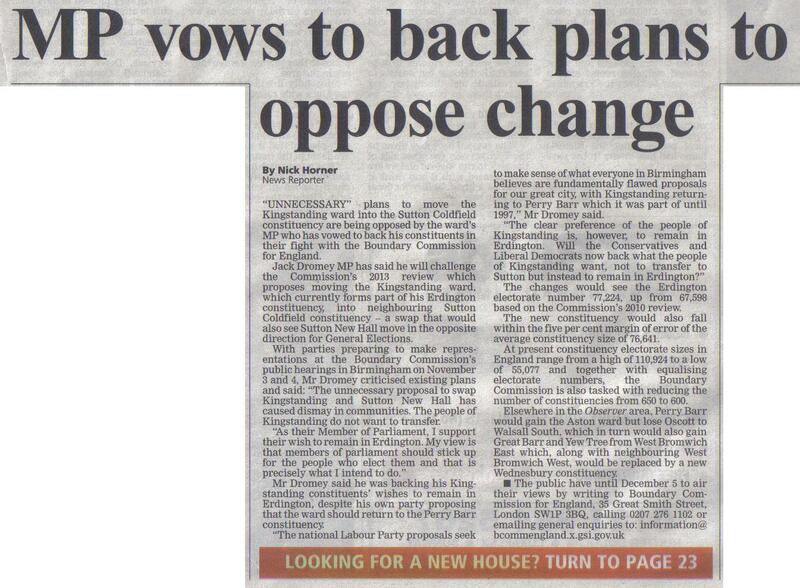 But local New Hall Tories outraged at the plans and Mitchell saying basically nothing.